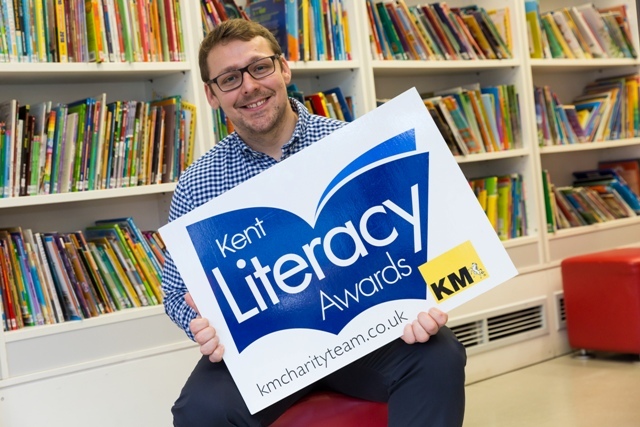 In a bid to encourage nominations for the awards, University of Kent lecturer Tom Lawrence has highlighted the all-round impact of literacy on children’s educational and life outcomes. Literacy Awards Launch (2019) from Inspire Schools on Vimeo. The awards are open to Primary and Secondary schools and the 18 categories include best home reading initiative, most successful programme for engaging pupils with English as second language and most engaging book week theme. There will also be prizes for literacy initiatives using IT, drama, the arts and cross-curricular opportunities. In addition to the University of Kent, the awards’ judging panel includes Coram Beanstalk, the Crown Foundation, Golding Vision, Tribeca, Reed Education, The Education People, KM Facilities Management and McCabe Ford Williams. Representatives from winning schools will be invited to an awards ceremony at the Hempstead House Hotel in Sittingbourne in July. Nominations can be made by teachers, support staff and management. They must be submitted by noon on Wednesday 1 May at the Kent Literacy Awards website. For multiple initiatives, please submit each as a separate nomination.